It’s easy to get excited about a new Chevrolet Corvette; but it would appear that Chevy is heightening anticipation even more this go-round. Why is the mid-engine Chevrolet Corvette such a poorly kept secret? Is it because we want to talk about it and speculate regarding what it may have for the power and the drive desired? Is this a bad secret because it’s been a long time in coming to the market? Have we shown a lack of patience for the Chevrolet team with regards to making this car available to us? No matter the reason this car has become a terrible secret and not really a secret at all, we’re more certain than ever this car will be offered on the market soon. The Chevrolet Corvette has been a car that straddles the line between sports car and supercar in a way that makes us dizzy. For over fifty years, the Corvette has been a car we’ve wanted to drive and is one of the longest-running consecutive nameplates on the market. This is the high-powered sports car that has been attainable by nearly every American that wants to save the money to make their driving dreams a reality and it’s been admired for the racing prowess it brings to the market. There’s not a much better example of this than the Chevy Corvette ZR1. Because we love the Corvette so much, a new model is certainly something we wait for with a great deal of anticipation. Recently, Chevrolet held a meeting off its dealers in Las Vegas to allow them to see what the new models will be for upcoming years and what they’ve been working on. This is where dealers learn about the rebates, lease offers, and a variety of other boring, number-crunching topics, but also have the benefit of learning about the new vehicles that will be part of the lineup in the future of the brand they support with their location. In one of the meetings by Chevy, there weren’t any phones or recording devices allowed in the room, but some of the dealers took to social media afterward to share the fact they were offered a look at what just might be the next model of the Corvette. It appears they aren’t allowed to offer any of the final details, and there might not be any available just yet, but one dealer stated the look of the new Corvette is much like a mid-engine car you might see offered from some of the European automakers with a shorter and sloped hood that doesn’t have to cover the engine. While we still don’t have any true date to let us know when the new mid-engine Chevy Corvette will arrive on the scene, but the fact the brand is showing this car to their dealers is a hint that the Chevrolet team feels they are closer than ever to bringing this car to the market for us to enjoy the drive. 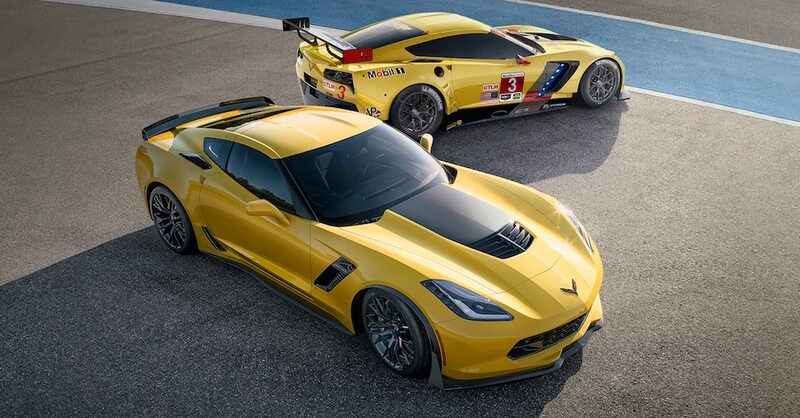 Hopefully, we won’t have to wait much longer for the mid-engine Corvette. This car has become one that we talk about continually because we want to have it be the next step for our driving and visual pleasure on the road.